The Weigel Wellness Center has an entire department dedicated to educating and developing the students at Buffalo State. The mission of the program is consistent with that of Weigel's goal of "prevention through education." Educational programs and services seek to provide students with information they need to make informed and responsible decisions concerning their health. Outreach involves campus and community education presentations, workshops, and events. Tabling and walkabout programs promote health advocacy via peer education. 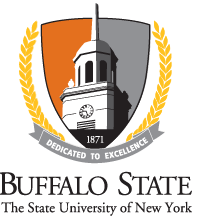 On any given afternoon, students at Buffalo State may find peer educators in the Student Union with information about various health issues, from sexual health, eating disorders, and healthy relationships, to nutrition, exercise, and sleep; you name it, you'll find Weigel peer educators talking about it! Student peer educators are a diverse group, made up of all grade levels of traditional and nontraditional students. Students work with us for many reasons, including personal development, to earn class credit for experiential learning, to gain awareness, and to meet new people. Weigel's Education Department also invites graduate and advanced undergraduate students to serve as interns, and all students may volunteer with the office. Be sure to check out our upcoming events for Fall 2018! The Health Promotion team provides a number of services to the campus; check them out below! Get condoms, dental dams, lube or other protection delivered right to your campus mailbox! We are unable to deliver off campus. If you are requesting before a break, be sure to order well in advance to make sure you get it! If you would like to request condoms, brochures, or other health promotion materials for another organization, fill out the form below. Your request will be fulfilled within 3-5 business days. If you want the Health Promotion team to host one of your workshops, then this is the place for you! Check out the form below! Workshops submitted with two weeks advance or more will give us the best chance to facilitate your requests. Learn more about the kind of Workshops we offer! Become a peer educator today!